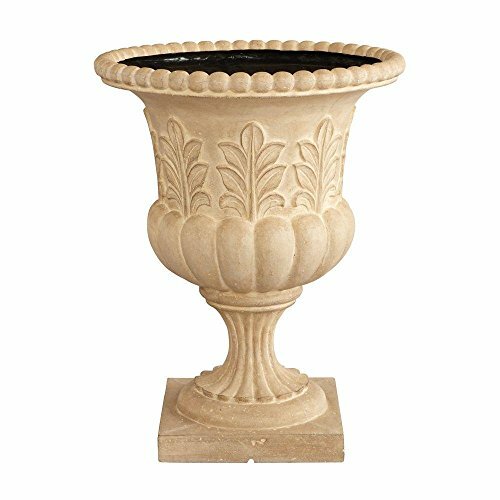 Our Acanthus Urn Planter brings classic distinction to your garden. The flared lip, curved base and scrolling acanthus leaf details create a dramatic foundation for flowers, grasses and topiaries. This exclusive, clean lined, European inspired urn is perfect for patio, poolside and even indoors. The 85% crushed natural outer stone surface ages to a beautiful time worn, old world hue as it weathers; order one for your home today.